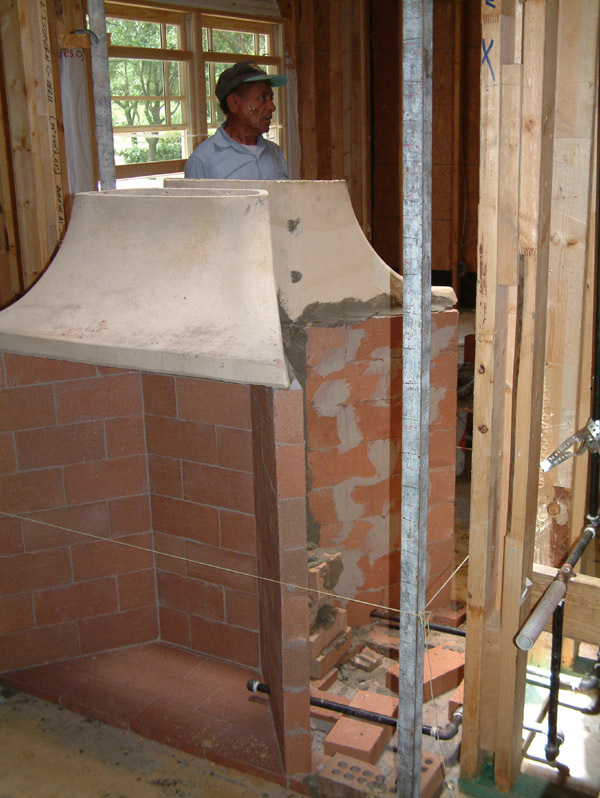 Back-to-back Rumfords are just two separate Rumfords oriented back-to-back within a common masonry chimney or enclosure. Generally, back-to-back Rumfords are built so that the fireback-to-fireback dimension is at least 10" - two separate firebrick firebacks with a 4" structural wythe between. Offset smoke chambers can be used to start the flues out in opposite (right/left) directions. At the top of the smoke chambers the flues can be leaned back toward each other so that they run side-by-side.